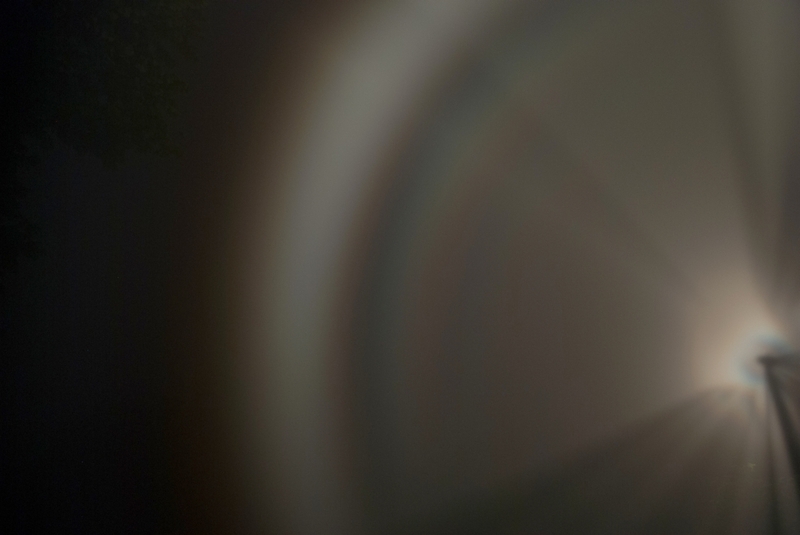 Matěj Grék placed a strong halogen lamp somewhere around 20m away and take some photos from a fogbow. He noticed that the glory was deformed. The wind was strong in this night, the fog was moving quite fast, and with the fog of course also tiny water droplets. Maybe that’s why the glory is deformed in connection with divergent light. Images are taken with a polarization filter. 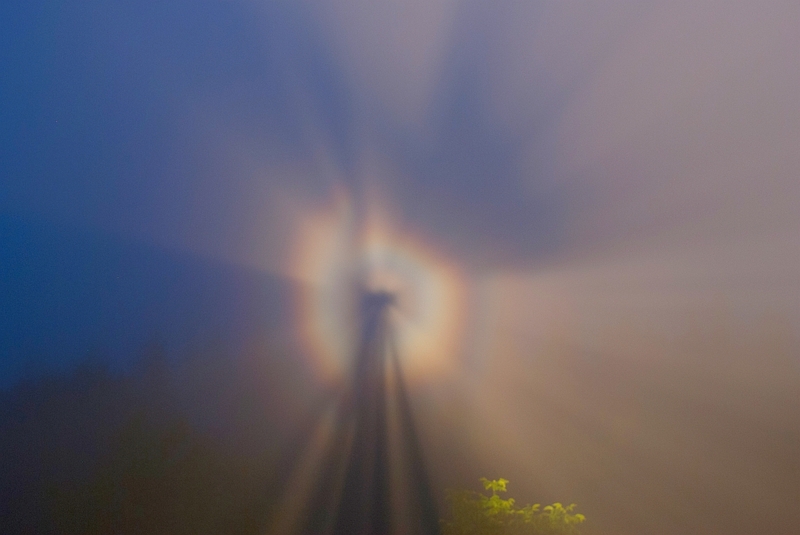 Posted on October 15, 2013, in glory and spectre of Brocken, rainbow and fogbow, shadows and rays and tagged divergent light, fog, fogbow, glory, refraction. Bookmark the permalink. Leave a comment.